Whether you need an accident repair, a repaint, a unique custom re-spray or a special restoration, you’ll find the skills you need here at Precision Paint. 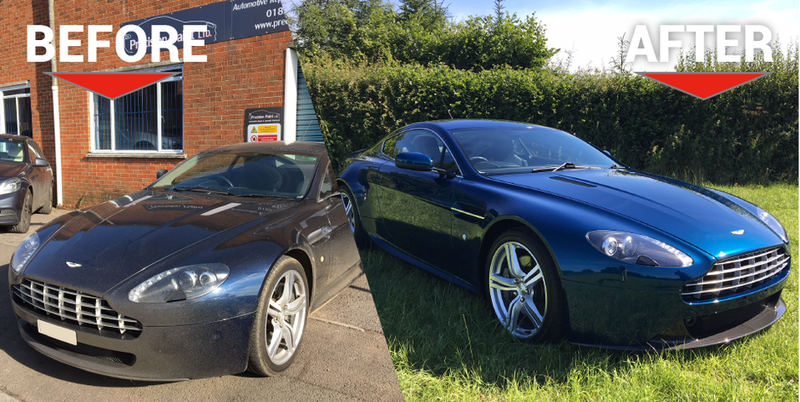 We provide car body accident repairs, custom and specialist car paintwork resprays from our premises in Wellington, Somerset. Not only do we deliver the best workmanship for miles around, but we also guarantee both immaculate and lasting results. 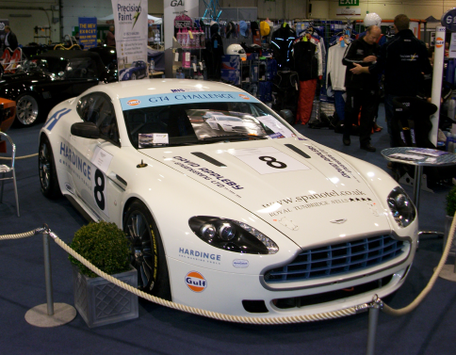 We are used extensively by an Aston Martin race team and by Taunton Audi. The car looks better than it did when first bought! "Would definitely recommend Precision Paint! Repaired my BMW after a bump to the back. Such professional, friendly and smooth service. No hassle, no bother, quick and easy job done. Communication and regular updates are top notch. with the wash to bring the car home with! "Oh my. What an incredible service. Patrick did a repair to our T5 camper through an insurance claim. Patrick organised everything with the insurance company. His communication skills are exceptional. Keeping us updated regularly and the finished job was completed to precision. You lent us a courtesy car which helped out immensely. Patrick and team thank you so much. If you need anything doing to your car don't look any further. Professional, friendly and and his work is gold standard." "2nd visit to Precision Paint. The first time a fantastic job was done on damaged bodywork. This time was after having an accident. I really can't recommend them highly enough. Great professional 5* service, wouldn't go anywhere else"
"Massive thank you to Patrick & his team, Fantastic job as always. Car looks better than when it came out of the show room I'm so pleased! Cannot recommend Precision Paint enough, will definitely come to you again." really helpful and hassle free. will definitely come to you again. For our team to provide you with an accurate quotation we need to arrange an appointment to view your vehicle and the damage/body work required. 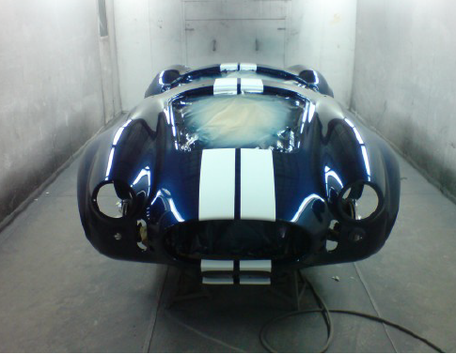 This AC Cobra Replica is metallic blue with tapered custom white stripes. The full bodywork and paint process is carried out here at Precision Paint, from bare shell to clear coat, built as close to factory specifications as possible. Fantastic experience. Patrick was great to deal with, clear about the work that needed to be done and very helpful. The finished result is perfect. Can not recommend highly enough. Thank you! Thank you for take care of my A3 the finish is absolutely perfect with all details outstanding job.. 100 % recommended ..
Amy Alderman reviewed Precision Paint. Going on my hubbies ever changing colour ideas Patrick has always done his cars proud. You get what you pay for and that is a brilliant job! "As a family we have been customers of Partick's for many years. He is the the best of the best, nothing is too much trouble for him. We just wished we had found him years ago." Big thank you to Patrick & his team, really helpful and hassle free. Great job I'm so pleased! Cannot recommend enough, will definitely come to you again. Thanks! Patrick and his guys done an excellent repair to my car after someone scraped the bodywork whilst parked. I will gladly recommend them to anyone. Thank guys! Superb results, great service, reasonable prices - what is not to like? Highly recommended. Patrick & his team have gone above & beyond expectations! Fantastic 5* service, would recommend to anyone. Thank you! I wouldn't take a vehicle anywhere else. Having used Patrick for 6 years for preparing my cars for my business and also Motorsport activity he's been faultless.